A lot of rock stars talk about ploughing money back into the community but very few do. Judas Priest guitar legend KK Dowling converted this disused Grade 11 listed building, once home to the `Star Motor Company` into what is now becoming the Midland`s top rock venue. It opened last August, and I attended my first show in February this year and came away thinking this is such a great venue but moaned to MVM`s Editor that why isn`t anybody playing here. Well, since then, whether they overheard our conversation or not, there is a stack of class gigs pencilled in for the rest of this year. Tonight`s four band offering being one of them. 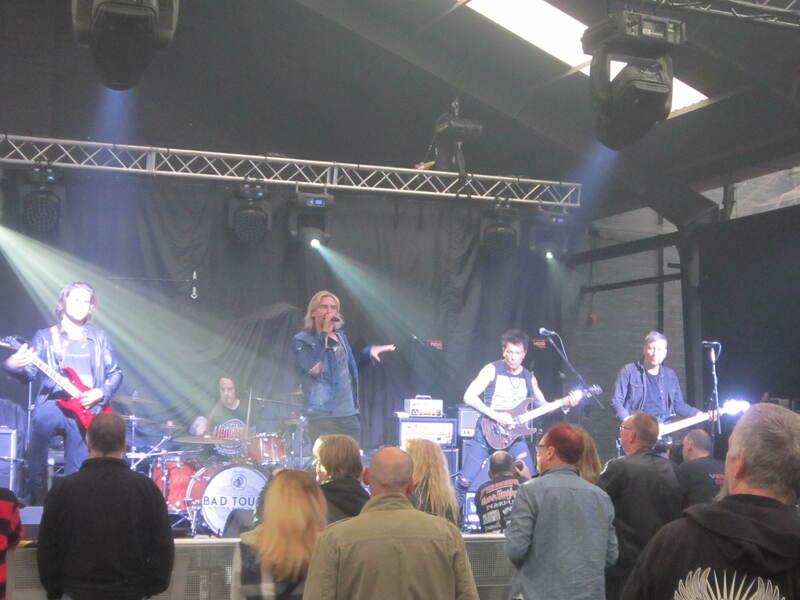 The downside of having four bands on a bill is that it`s an early start and although local boys Vega seem to be part of some cracking bills these days, it always seems that these fellas get the early slot and this means hitting the stage at the unfeasibly time of 6.45pm. I last saw the guys in January opening for Skid Row in Bristol and it was a 5.30pm kick off there and they blew the place away. To me, the opening two songs of their set explain a lot about the band `Let`s Have Fun Tonight` and `Explode`, they are a band that just put a smile on your face. They`ve been around for a decade now, have some cracking songs and regardless of where they are on a bill, they perform as if they are headlining. `Kiss Of Life`, the wonderfully catchy `Every Little Monster`, and recent anthem `Worth Dying For` will remind you of all your favourite classic rock bands like Def Leppard, Thin Lizzy and Bon Jovi but who cares. `White Flag` and `Savin` Grace` close this evening`s set out and you couldn`t have asked for a better band to warm this crowd up. Singer Nick Workman even makes time to receive a fans camera and takes a video / selfie of the band members, whilst continuing to perform. Vega in Latin means Star and these boys for me certainly are stars. This short set is closed out with `Hammer Falls` with its cracking guitar riffs, the real swagger of `Dressed To Kill` and my ultimate favourite track `99%`, which is one of the catchiest songs written in years, honestly it`ll stay with you for days. 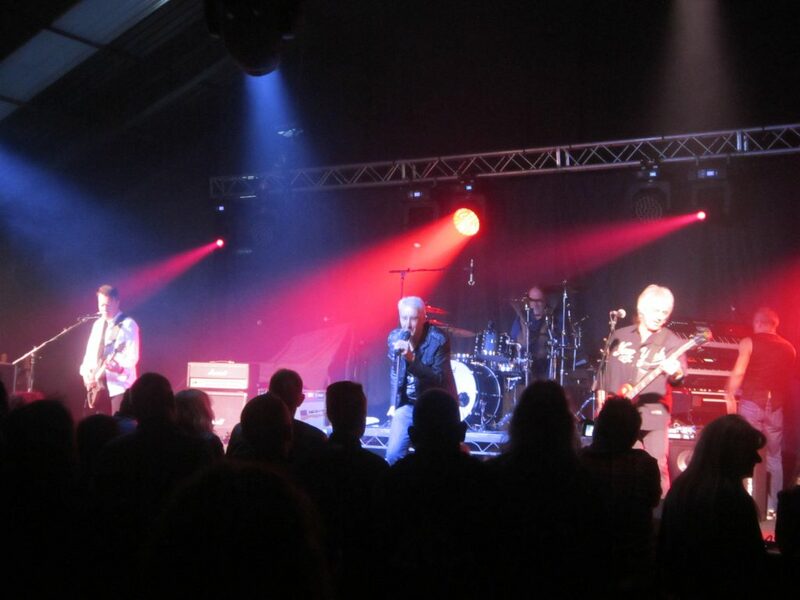 The band`s mech sort of sums the band up, “Home Grown and Full Blown, Norfolk Rock `N` Roll” MVM` Editor encapsulated them when he said, “Bad Touch they are the best thing to come out of Norfolk since mustard”. It`s just under twelve months since I last saw FM at The River Rooms in Stourbridge, so I was really looking forward to their set tonight. They must be about the hardest working outfit going since they got back together about a decade ago, as they always seem to be out on the road. 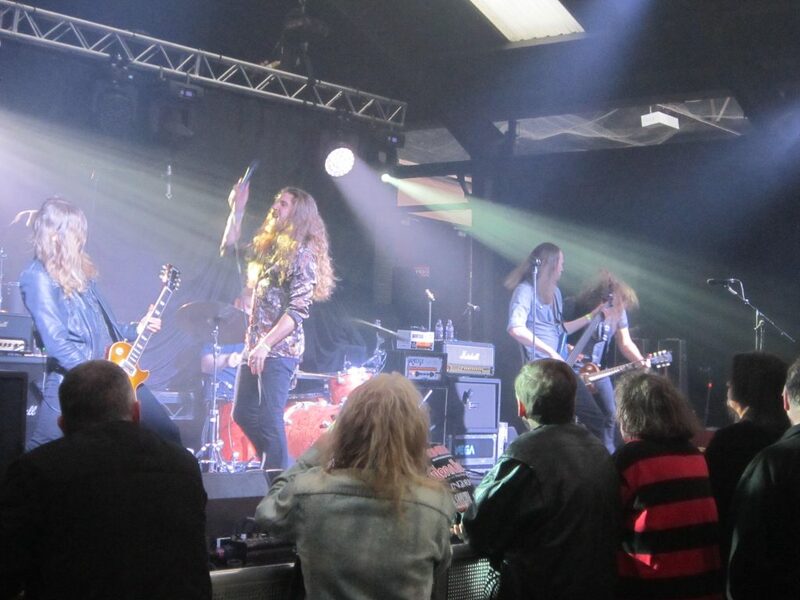 `Breathe Fire` gets us underway before the wonderful classic melodic rock aria`s `Bad Luck` and `That Girl` have the faithful singing along and fist pumping the air. It`s hard to believe that these tracks are over thirty years old and still sound as if they were written yesterday. The almost Van Halenish `Life Is A Highway` is belted out before the guys change pace and share the quieter `The Dream That Died`. The fellas offer up a section of more reflective songs with `Dangerous`, `Someday (You`ll Come Running)`, `Does It Feel Like Love` and the heart wrenching `Closer To Heaven`. The show closes out with what this band do best with beguiling songs that get everybody clapping, dancing and singing along with `Over You`, the brilliant `I Belong To the Night`, energetic `Tough It Out` and `Killed By Love` and that`s it. Superb, once again these guys delivered. They write quality songs with singalong lyrics and memorable melodies, what`s not to like. I always feel that The Quireboys are the sort of band that are mad, bad and dangerous to know, with Spike being the Uncle that nobody mentions, who turns up at a family do and nobody knows what will happen. There is nobody to touch them when play their sleazy but wonderful blues rock. `I Love This Dirty Town` gets us off to a flier before the aching `Misled` and irresistible `There She Goes Again`. Spike is handing out carnations and says jokingly that it`s great to finally be back in Wolverhampton. He then confesses that he bought the flowers in the market in Bilston, a district of Wolverhampton, where he now lives. `Seven Deadly Sins` the outstanding `Mona Lisa Smiled` and `Hello` are blasted out before Spike asks us all to remember his friend, the singer and guitarist Bernie Torme, who died recently and plays `This Is Rock `N` Roll` for him. My favourite `Hey You` gets an outing alongside `Original Black-Eyed Son` before local blues vocalist Rebecca Downes joins him onstage to share the ballad `I Don`t Love You Anymore`. `Sweet Mary Ann` and the classic `7 O`Clock` end tonight`s excellent performance. 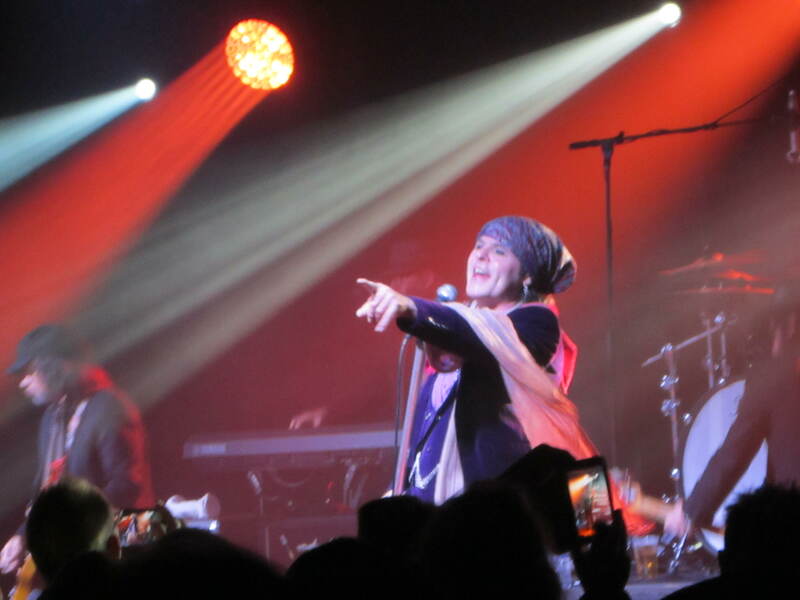 I do believe that if The Quireboys had been born in the Southern States of America, they`d have gotten the recognition that bands like The Black Crowes have, but that`s life. Tonight, was fittingly the last night of this seven-show tour for these quartet of bands and highlighted what we really don`t appreciate but we do have some wonderful home-grown English rock bands. This evening was a terrific showcase for all this unacknowledged talent.